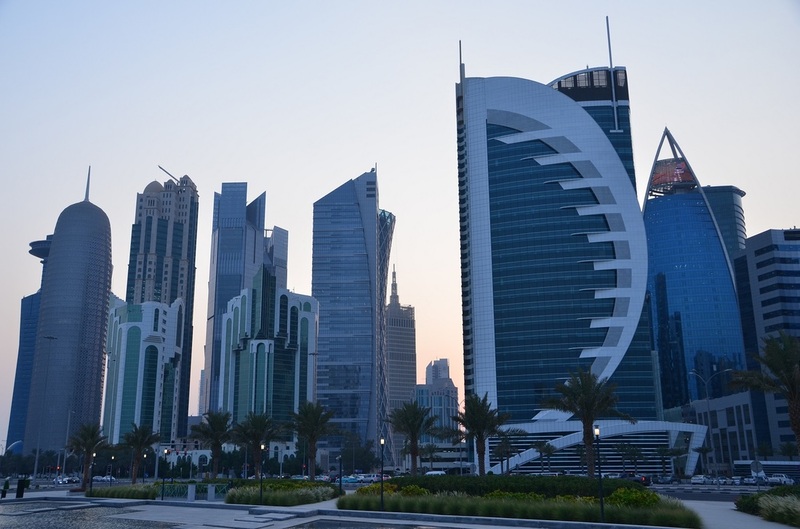 Doha, the capital city of oil-rich Qatar, currently doesn’t exist on the international tourism map. However travel gurus anticipate things to change soon. Two key reasons contribute to their belief. Firstly Qatar being the host nation of 2022 World Cup Football, expect to draw lots of visitors to Doha in the coming years. Secondly Doha as hub of Qatar Airways, which is one of the world’s leading airline, experiencing increased number of passengers passing through its Hamad International Airport. Some of the passengers from long haul flights are now stopping over in Doha for few nights to break the journey, thus increasing the potential of Doha to emerge as a stopover destination like Dubai or Singapore. I wanted to check personally what Doha offers. So when travelling back home from Europe with Qatar Airways recently, I paused there for two nights to experience its sights, sounds and smell and was highly impressed to discover its reasonable size menu-card for discerned travellers. Qatar, a peninsula jutting in the Persian Gulf, was one of the earliest settlements during the Islamic era. The Muslims who arrived here from Arabia spread their influence in religion and trade in the region until British moved in as hopping point for their colonial expansion in India. The nation became a fully independent sovereign state in 1971 and one of the six members of the Gulf Cooperation Council (GCC). Its terrain comprise of arid desert land, sand dunes and sea coastline of over 500km. Their rulers – the Al Thani Emirs are currently driving modernisation with lots of infrastructure development, however keeping glories of the past intact. 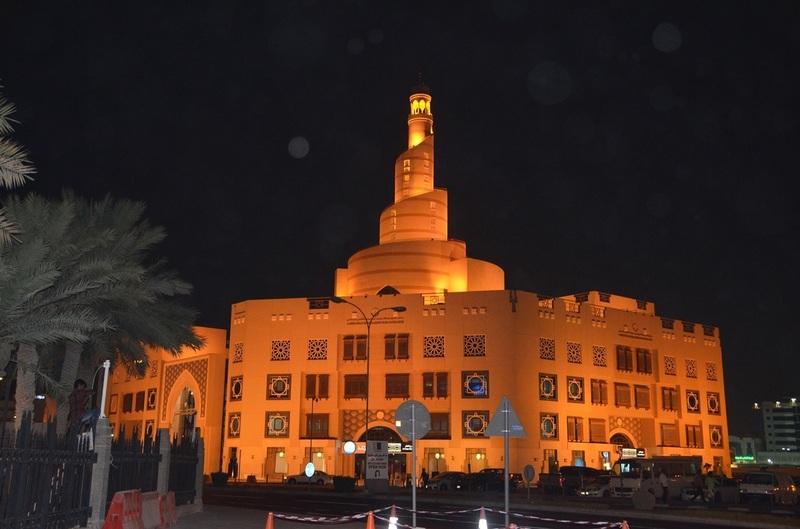 Doha , which was earlier a quiet fishing and pearling village ,is now a thriving world class metropolis which brings in old world hospitality with cosmopolitan sophistication. Like Dubai, its skyline is dominated by glass panelled sky scrapers of different shapes and sizes that accommodates luxury hotels, restaurants, cafes, corporate offices and glittering shopping malls. Ringing its downtown waterfront are numerous parks and the Corniche Promenade where locals walk, jog or relax when weather permits. The city has its fair share of key sights to visit, the most important being the Museum of Islamic Art which display 14 centuries of great art from across the Muslim world. No visitor can fail to be impressed by the quality and diversity of the collections, housed in a modern architectural masterpiece designed by IM Pei. The Mathaf Arab Museum of Modern Art showcases the Arab world’s flourishing contemporary art scene while the 1927 built Al Koot Fort Museum exhibit traditional handicrafts. The two main mosques are architectural master pieces. The northern Katara neighbourhood has a beach and cultural centre. Offshore is the Pearl, a massive artificial island with high-end shops and villas. Nearby, Doha Golf Club has 18-hole championship course where visitors are welcome to have a shot. 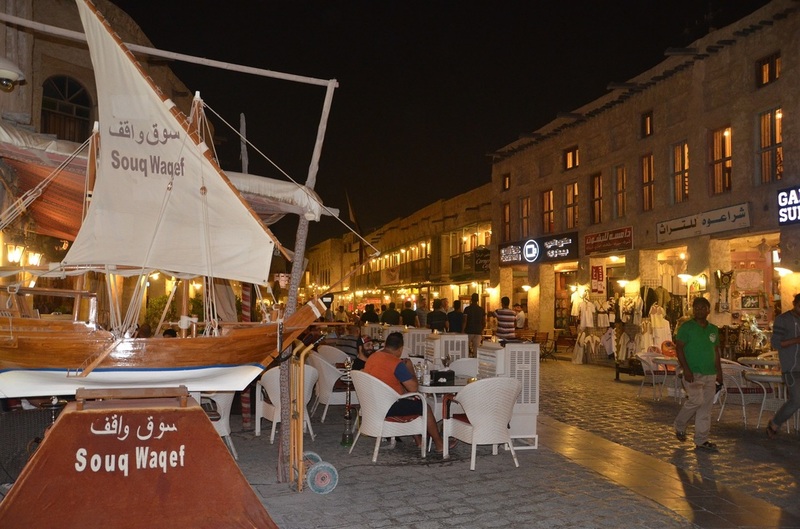 Doha’s pulse beats at the Souk Waqif, a traditional bazaar with a maze of shops that offer a dazzling array of Middle Eastern merchandise from spices, dried fruits and seasonal delicacies to perfumes, gold jewellery, clothing, handicrafts and a treasure trove of souvenir bargains. The atmosphere here is always eclectic with scent of shisha filling the air. Traditional music, art and cultural presentations add to the diversity of the ambiance. This is the venue where locals dine and socialise after the sun goes down. During the day the temperature and humidity were very high making it almost impossible for me to wander outdoors. 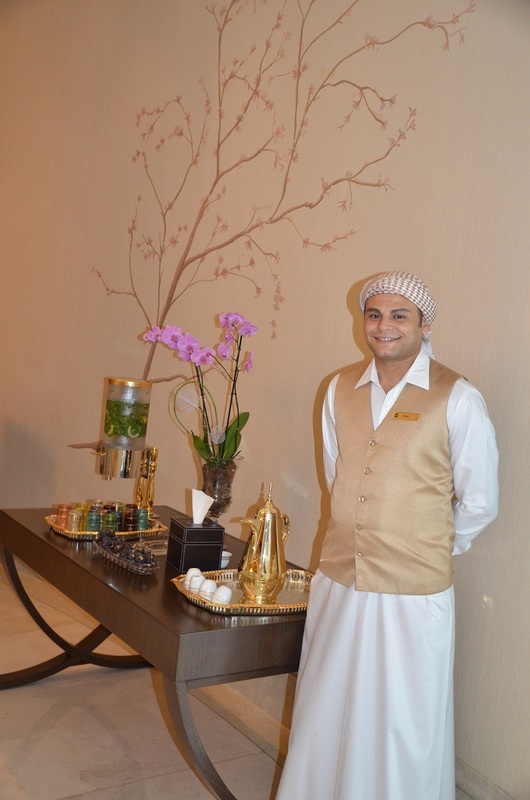 It was a blessing in disguise as it gave me the opportunity to enjoy the pampering and indulgence at the opulent Shangri-La Hotel, deemed as one of the most famous address in Doha. 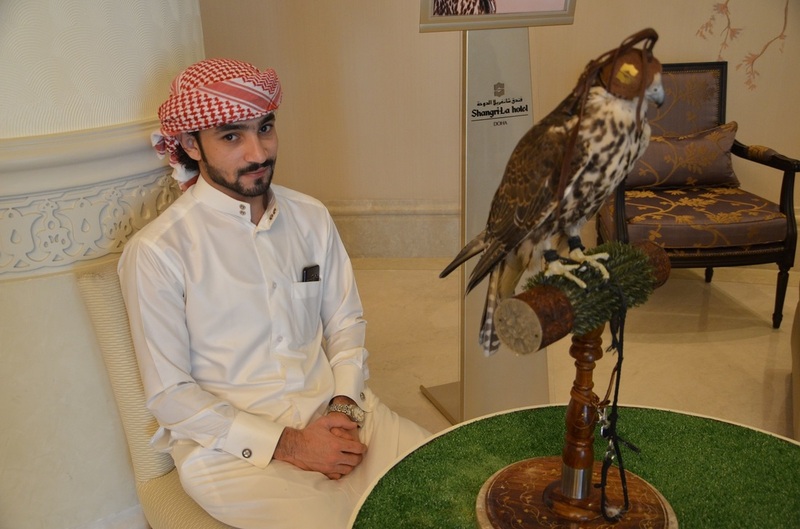 Located in the West Bay area in close proximity of the Corniche, this 272 room luxury hotel captivated me by its unique blend of Asian and Qatari cordiality. The 43 story high hotel has everything that a modern day, top-end traveller needs from limousine airport service, spacious well decorated rooms and top quality restaurants to curving outdoor pools, well equipped gym, spa treatments and an impressive Horizon Club lounge at the 42nd floor from where the panoramic views of the futuristic city with glittering skyscrapers rising alongside examples of heritage architecture is splendid. The hotel is connected to the adjacent City Centre Mall for guests to have retail therapies bypassing the heat outside. By staying indoors I discover my own oasis in Doha. Getting There: Qatar Airways (www.qatarairways.com ) has regular flights from Sydney ,Melbourne, Adelaide and Perth to Doha with connections to over 150 destinations in six continents. Visa: Australian passport holders can get visa on arrival after payment of QAR 100.